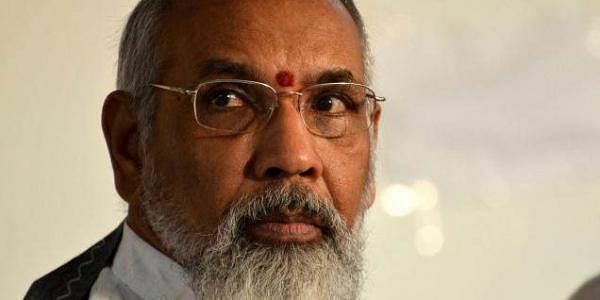 Wigneswaran suggested that a time frame be given for proper steps to be taken with regard to the missing or disappeared. COLOMBO: The Chief Minister of Sri Lanka’s Tamil-majority Northern Province, C.V.Wigneswaran, on Wednesday appealed to President Maithripala Sirisena to send a senior minister post haste to Vavuniya to give some assurance to the men and women who are on a “fast unto death” that government would take steps to address their demands regarding forced disappearances and political prisoners. The Chief Minister appealed to the President to direct a Senior Minister to go over to Vavuniya and give the Satyagrahis some assurance. “One of the fasting individuals, a female, is holding a picture with her daughter standing beside Your Excellency. At least her whereabouts could be immediately ascertained and she could be released to her mother,” the Chief Minister said. Drawing the attention of the President to the government’s commitment to repeal the Prevention of Terrorism Act (PTA) and replace it with a law of international standard, Wigneswaran said that if the PTA is withdrawn, many political prisoners would have to be released immediately. “Therefore, the withdrawal of the PTA must be undertaken immediately. After all the Government has given an assurance to the world at large that the PTA would be withdrawn,” he pointed out. “Your government came into power inter alia with the goodwill and franchise of our people. Your Government opined that the PTA must be withdrawn, that Political Prisoners must be given an Amnesty, that immediate steps must be taken to inquire into the fate of missing persons and so on. But the Office of Missing Persons is presently only in name. It has no teeth. Even if it starts functioning in earnest, the Panel of Inquirers cannot take effective steps against military suspects. They need to forward their views to the courts, consequently resulting in heavy delay,” Wigneswaran pointed out.